Pictured above is Nick O'Leary from England. 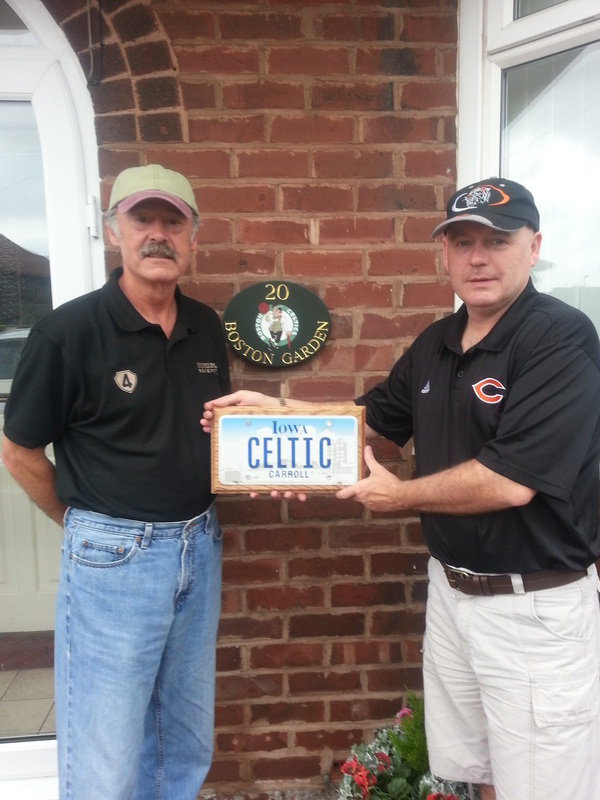 He is a true Boston Celtic fan and he is holding a wedding gift that was made here at CHS. I had the honor of being his Best Man in his wedding, July of 2013. Coach O'Leary is a Senior Coach in England and many of our PE classes have had several Skype sessions with Nick. Visit from Matthias Kelp (in the center), father of Jonas, our foreign exchange student from Germany. Fifth period P.E. 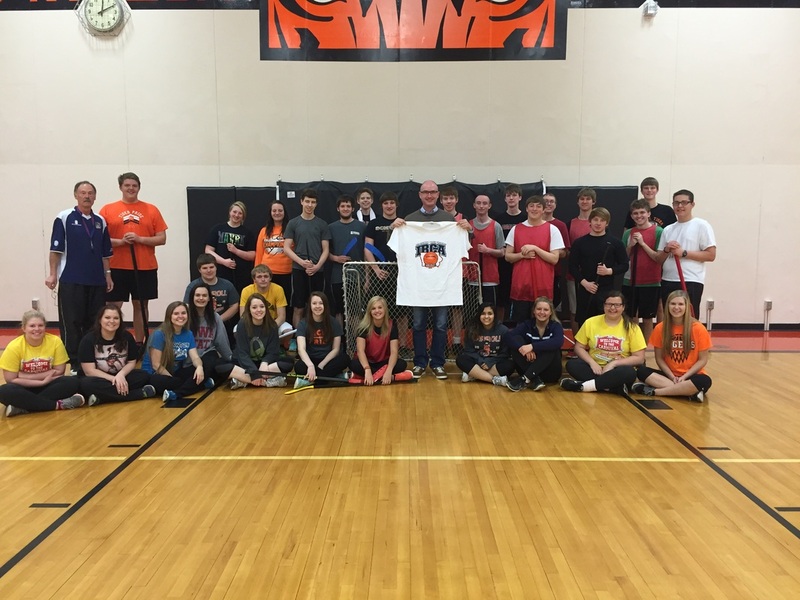 class enjoys the kodak moment after a game of floor hockey. 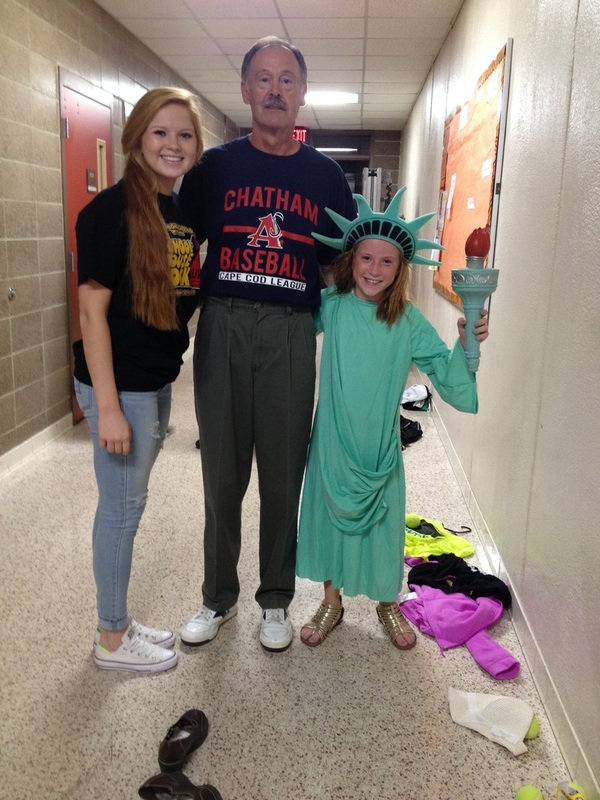 "HoldsClaw" and "Helms" and myself getting ready for PE. 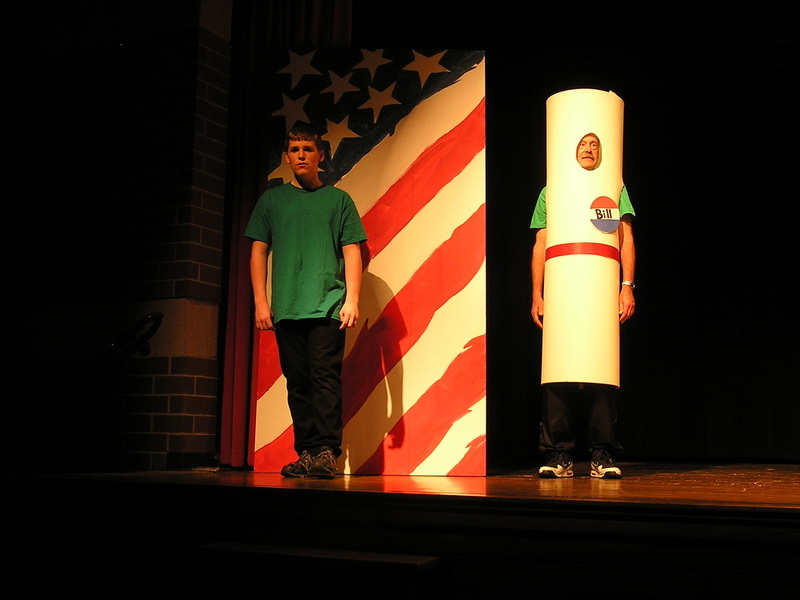 SCHOOL HOUSE ROCK 2015 "The Legal Bill" The perfect part . . . no speaking and no singing! Being a true Boston Celtic fan, this was an exciting moment. 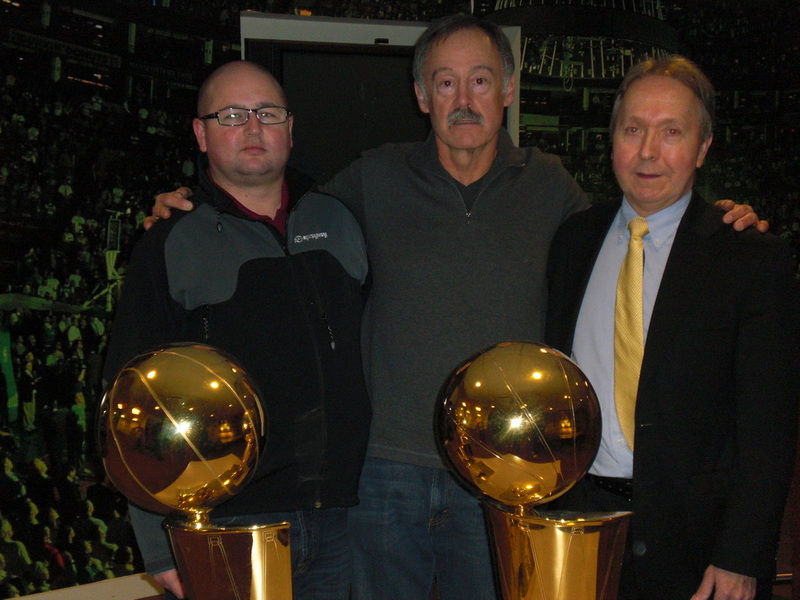 We had our picture taken with two NBA trophies at the Celtics office in Boston. 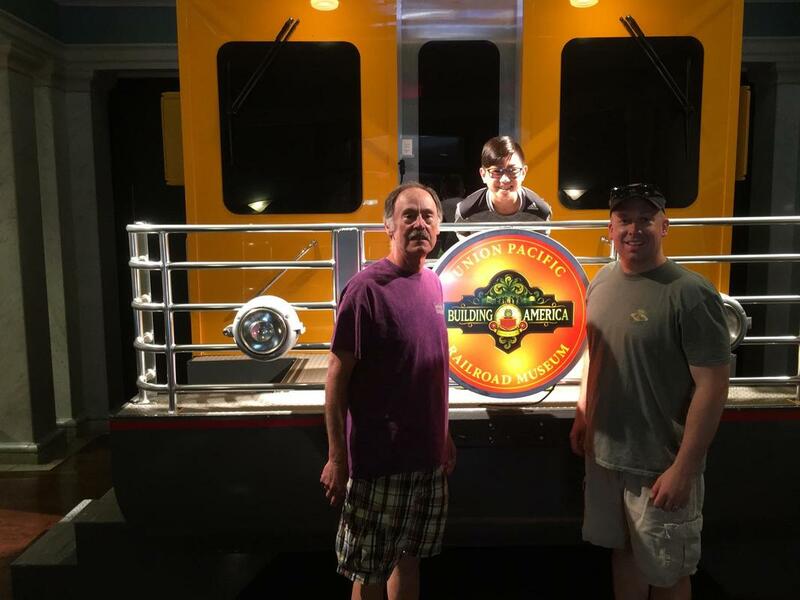 On the left is Dave Taylor from Scotland. 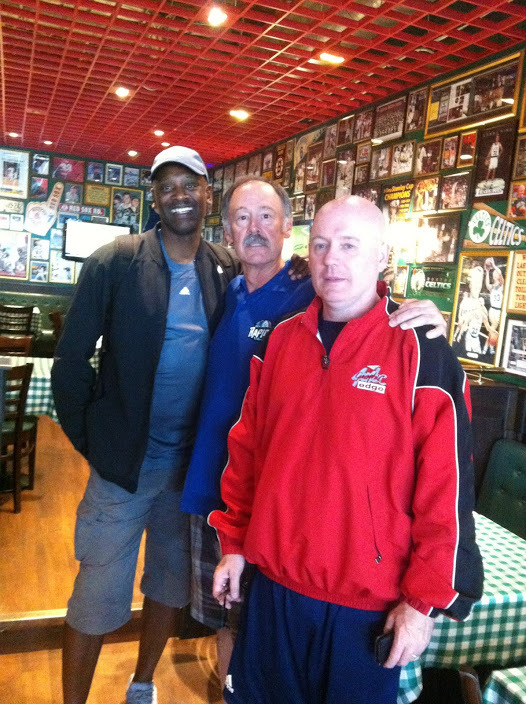 I have known Dave for over fifteen years and see him each summer at basketball camps in the UK. 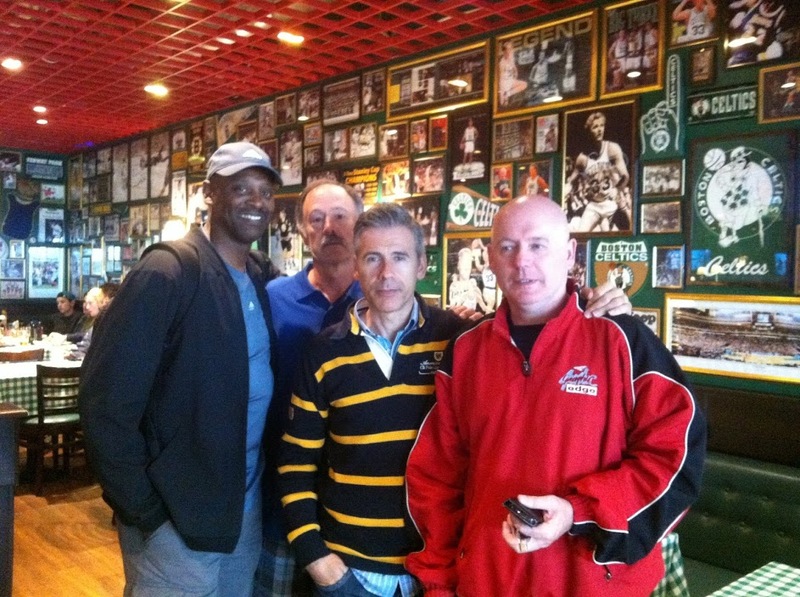 On the right is Duane Johnson, who works with the Celtics and has been a very close friend of mine since 1988. 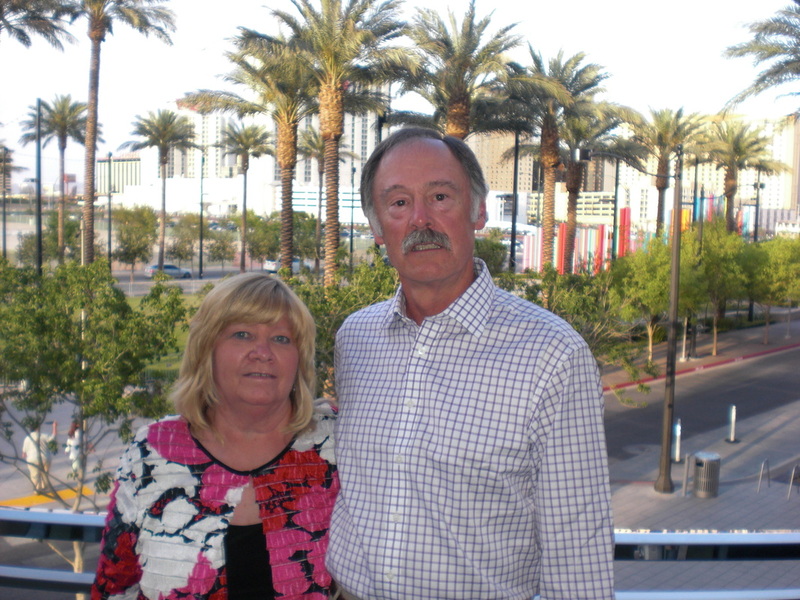 My wife, Carolyn and I are in Las Vegas to visit our daughter, son in law and grandson. Tonight, we are attending a musical as we usually try to catch a good show during our visits. 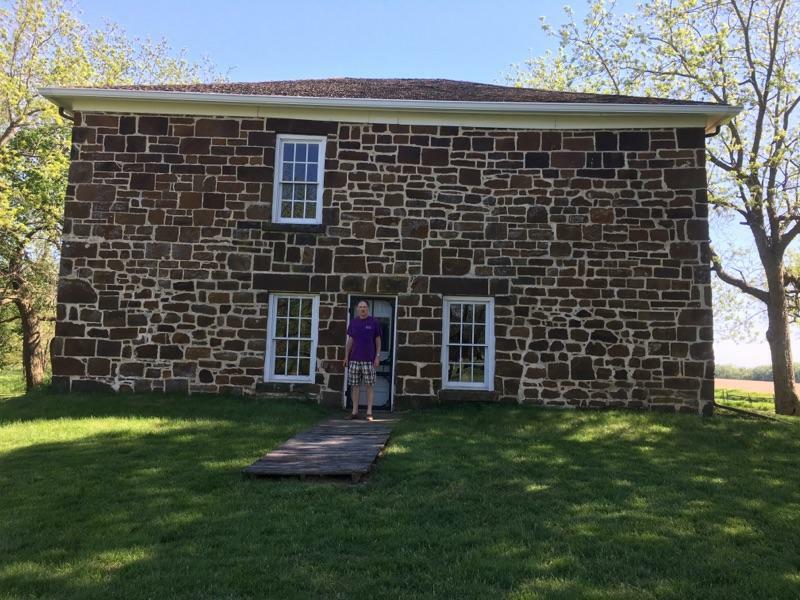 Also, a part of the Saturday excursion, a visit to Lewis, IA (Cass County) and the Hitchcock House (part of the Underground Railroad and Civil War). 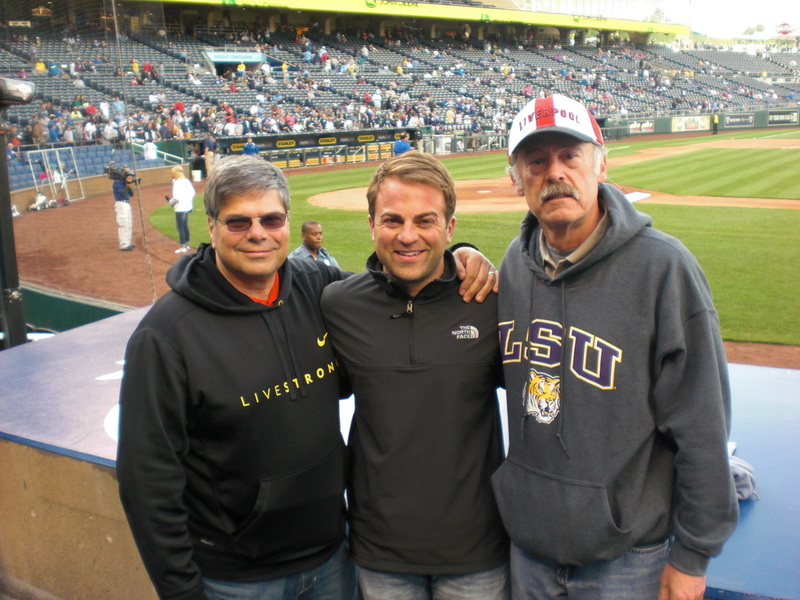 Coach Orlano and his father are pictured here with myself at a KC Royals/Yankees game, spring of 2013. 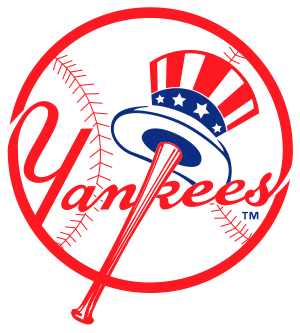 We are all true Yankee fans and we enjoyed the victory. 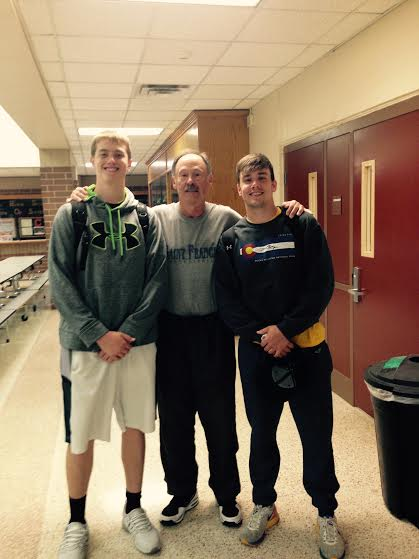 Coach Orlano is a former Tiger athlete and a very good friend.